The funeral mass will be held tomorrow morning in Donnybrook. THE FUNERAL MASS for Nobel Laureate Seamus Heaney will be broadcast live on RTÉ One tomorrow morning. The beloved poet passed away unexpectedly on Friday after a short illness. He was 74 years old. Bryan Dobson will present a special programme of the ceremony at the Sacred Heart Church in Donnybrook, Dublin 4 from 11am on RTÉ One and RTÉ News Now. There will also be coverage with Seán O’Rourke on RTÉ Radio One. Both television and radio coverage will be streamed live on rte.ie and will be made available for international audiences. From 8am Monday, RTÉ Radio One Extra will carry a continuous broadcast of a recording of the Collected Poems of Seamus Heaney. And at 10pm on Radio One, a repeat of a public interview between Heaney and biographer Dennis O’Driscoll in 2009 will be aired. Books of Condolences will open in Belfast and Dublin. There is already one open at Guildhall in the poet’s native Derry. The Dublin book can be signed at the Mansion House between 10am and 5pm Monday, Tuesday and Wednesday. 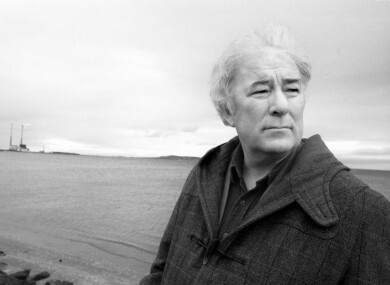 Heaney will be buried in Bellaghy, county Derry tomorrow evening. A removal mass to the Donnybrook church will take place today from 6.45pm. Email “Funeral of Seamus Heaney to be broadcast live on RTÉ”. Feedback on “Funeral of Seamus Heaney to be broadcast live on RTÉ”.